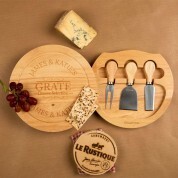 There's no better gift for a food loving couple than a customised cheeseboard, complete with cheese knife set. 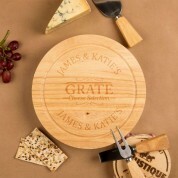 It's fully personalised with the couple's names engraved both at the top and bottom of the board. The middle features a quirky engraved message reading 'Grate Cheese Selection'. The fun play on words is sure to make them smile, along with the cheese they can put on top. 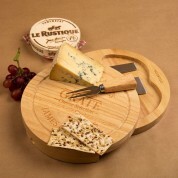 The beautiful light wood board effortlessly slides round to reveal the cheese knife compartment. It holds three knives to match the board. 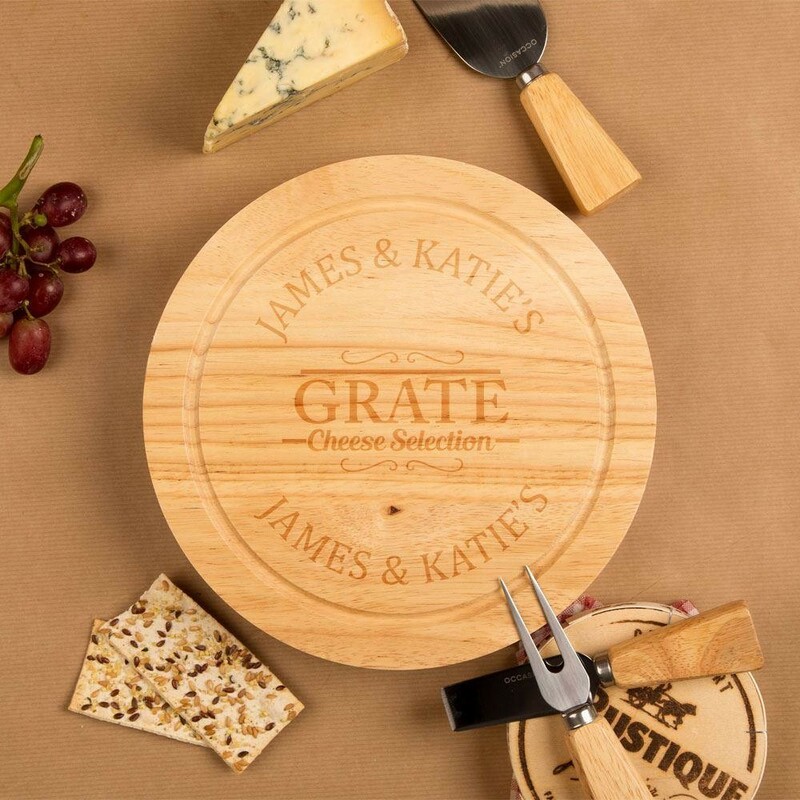 The grain of our cheeseboard can naturally vary, which may result in darker or lighter engraving than shown.